Dr. Hawk has worked in private practice in Dallas since 1980. Published in several ophthalmic journals, Dr. Hawk is a clinical assistant professor in the Department of Ophthalmology at the University of Texas Southwestern Medical School. 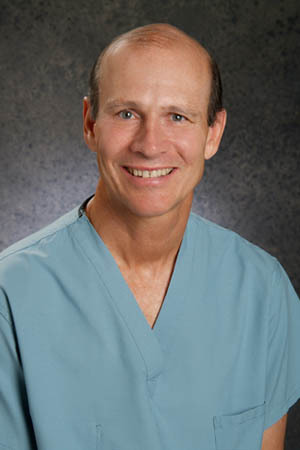 He is past president of the Dallas Academy of Ophthalmology and is involved in numerous professional societies, including American Academy of Ophthalmology, American Society of Cataract and Refractive Surgery, the Dallas County Medical Society, Texas Medical Association, American Medical Association, Texas Ophthalmology Association and the Dallas Academy of Ophthalmology. Board-certified in ophthalmology since 1980, Dr. Hawk has medical privileges at UT Southwestern University Hospital – Zale Lipshy, Baylor University Medical Center, Parkland Memorial Hospital, Mary Shiels Hospital and Physicians Day Surgery. Dr. Hawk is married and has one daughter. He loves spending time with his family. He enjoys playing golf, tennis and riding his motorcycle.